What is Equal Pay Day? • The Sketchley Law Firm, P.A. 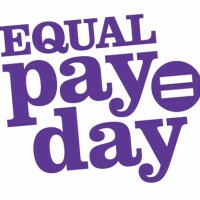 Equal Pay Day marks how far into a new year a woman must work to earn the same amount a man did in the previous year. For example, women must work until approximately April 4, 2017 to make the same amount men did in 2016. Equal Pay day is a symbolic reminder of the gender pay gap in the United States. On average a woman earns $.79 for every $1.00 a man earns. The gender pay gap translates into a loss of hundreds of thousands of dollars over a lifetime. For minority women, it can mean a loss of over a million dollars over a lifetime. The gender pay gap differs from state to state and is far greater for minority women. How Does the Lack of Equal Pay Impact Women? Reducing a woman’s savings over a lifetime. Lower pay means women have less in savings. Due to lower salaries, women also have smaller pensions or no pensions at all. The accumulative affect is that women have less retirement income and savings. Reducing a woman’s Social Security benefit. Social Security pays disability, retirement, and survivors’ benefits based on a recipient’s earnings. Less earnings means a smaller Social Security benefit. The average Social Security benefit for a woman is 79% of a man’s. Because of smaller pensions and less savings, women rely more heavily on Social Security in their retirement. Increasing a woman’s chances of living in poverty. Women are increasingly more likely to live in poverty as they age. With smaller lifetime savings, smaller pensions, lower Social Security benefits, and a longer life expectancy than men, women are likely to exhaust their savings. Women are almost twice as likely to live in poverty at age 65 and older as a man. Increasing a woman’s reliance on government benefits to meet their basic needs. The accumulating negative economic impact of unequal pay over a lifetime makes it more likely a woman must rely on means-tested public benefits for her basic needs. These benefits include Medicaid, food stamps, and Supplemental Security Income (SSI). Reliance on public benefits for basic needs ultimately reduces an individual’s quality of life. It limits ones ability to access medical care, safe housing options, food, and even social interaction. Why Does Equal Pay Matter in Elder Law? The inability to purchase long term care insurance. Due to the high costs of long term care insurance compared to a woman’s income, it may be unfeasible for her to purchase long term care policy. Long term care insurance can provide additional resources for paying the high costs of long term care. The inability to pay for home care. Because of the high costs of home care, a woman may be unable to pay for care in her home. Most people want to live at home as long as possible. The more resources one has, the longer she can pay for care. If she is unable to pay for care in her home, aging in place may not be an option. Reliance on unpaid, volunteer care. A woman is more likely to rely on unpaid friends or family, such as children, to provide her care. Her caregivers often suffer from burnout, take time off work without leave, and even suffer health problems due to care giving stresses. when caregivers reach the end of their ability to provide care, the situation often becomes a crisis for both the elderly woman and the caregivers and results in nursing home placement. Limited reliable long term care options. With fewer resources available, a woman has fewer options for reliable, quality care. She may be forced to live in a a less expensive, lower quality assisted living facility. She may create a patchwork of help from volunteers and low paid caregivers who are not with agencies, may have no training, or may have a criminal history. These patchwork care plans often leave gaps in care. Lower quality of care or unreliable care increases her risk for neglect, abuse, and exploitation. Family members contributing resources to pay for care. A woman, with limited resources, may need to ask her family to contribute money to her costs of care if they’re unpaid direct care. Need to access public benefits to pay for care. Because women are more likely to run out of money, they are more likely to use Medicaid to pay for long term care. Medicaid pays for only a small percentage of home and community based care. For Medicaid to pay for her long term care, a woman will probably have to live in a nursing home. The gender pay gap is shrinking, but it’s unlikely to disappear soon. Women should talk to an elder law attorney early to learn how to mitigate its negative affects.